My brain mostly functions in colour. 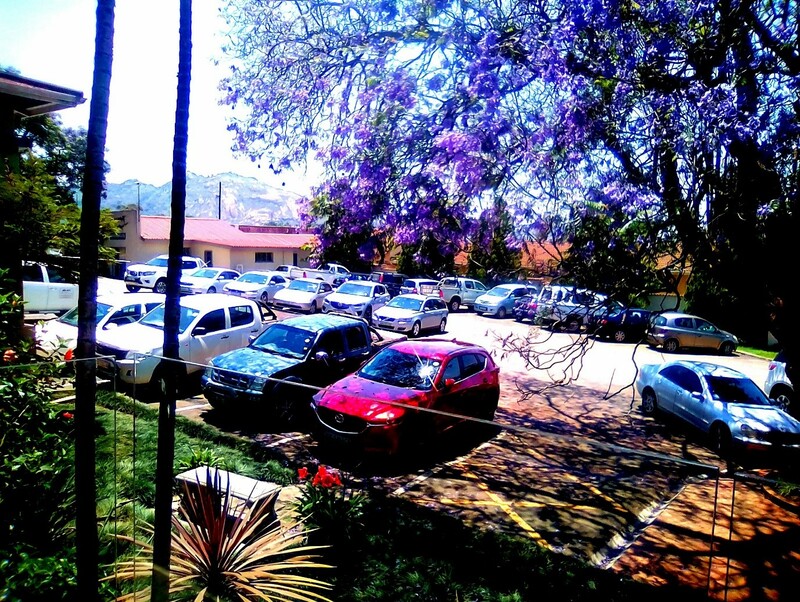 I’m a right sider, so the first thing I notice as I walk into the lot are the jacaranda trees. Gloriously purple and tumbling off branches like violet confetti. I stop for a moment to greet the guard, who kindly waves me in. There’s a lot of cars parked out here today I note, as my introvert nature starts peeping through. A vehicle whizzes past me to settle right outside the big glass doors. A Benz of some sort and a gorgeous lady in business casual steps out. She struts gracefully into the hotel, and I trudge right behind her so to squeeze myself in before the door swings closed again. My awkward self doesn’t do too well with Push or Pulls. And as I slide past the familiar tall glass entrance, I am greeted by a sight I can never get enough of: Lemon walls, colonial furniture and a hive of activity. “Welcome to the mountain inn” a chirpy voice breaks in to greet a couple of guests moving about in front of me. I smile at them as I swimmingly make my way through the crowd. I’m more interested in the mouth-watering smell that’s wafting in from the breakfast room and I habitually walk towards it. I recall the first time I stepped inside the Mountain inn. It was about a year ago, in a black pleated skirt that doesn’t fit anymore more and 30 minutes way too early for a job interview. I had sat in one of the stark wooden chairs in the lobby, nervously swiping through my phone for what felt like a lifetime before hearing my name. I had then followed the manager anxiously as he led me through a long hallway that resembled an art gallery. Fighting back a reflex to stop and stare. The long hallway had eventually eased us into the hotel’s breakfast room. 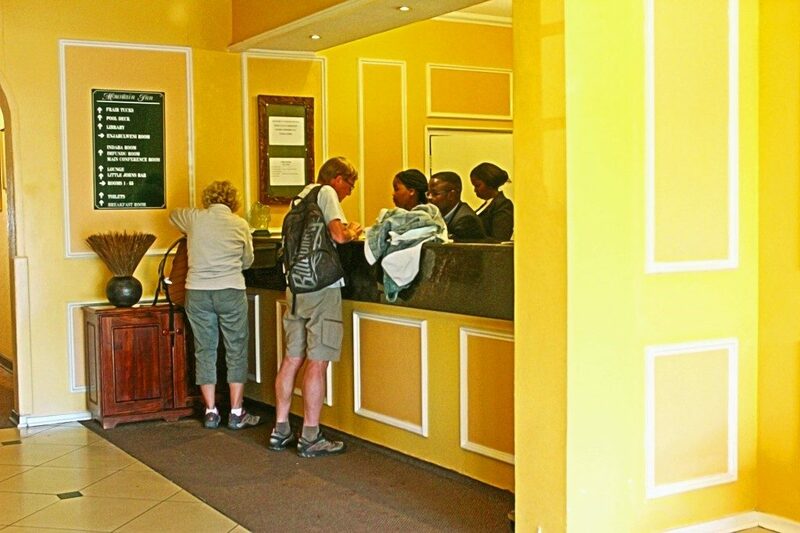 Where I was greeted by a buzzing hive of more busy bodies moving about and waitrons smiling generously. 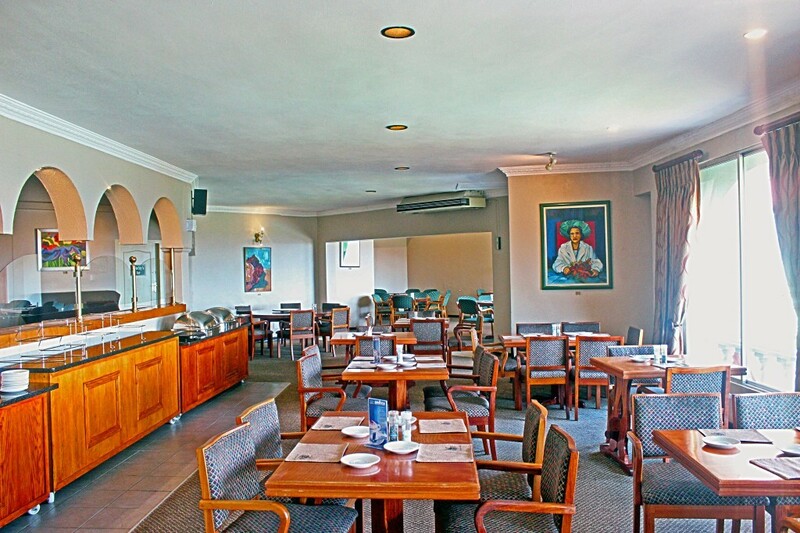 By some amazing grace of fate, the manager had chosen a table by a far end window and as I settled down into a chair, my jaw almost dropped as I caught a first glimpse of what I know now to be the most magnificent view in the entire country. 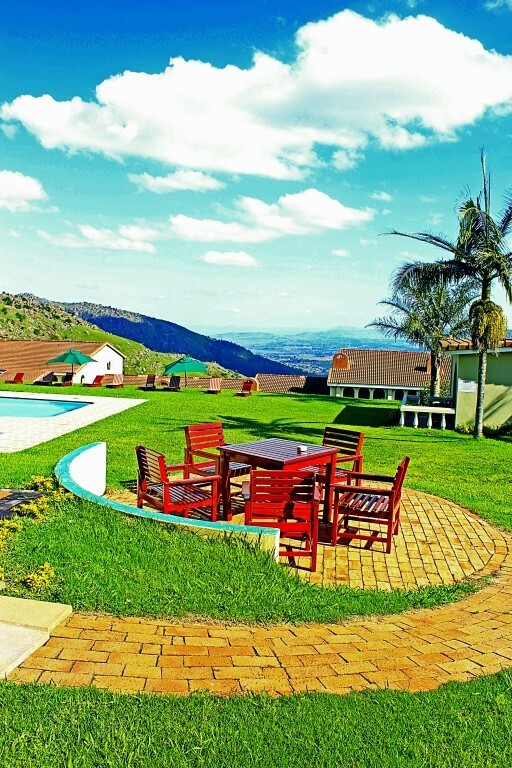 A scenic image of rolling hills spilling into the breath-taking Ezulwini valley. So, when here I am, a year later, walking into the very same breakfast room and seeing the common sight of busy bodies’ draped against a backdrop of that same magnificent view, I can’t help but conclude that this is the most perfect start to any day. I make my way past the delightful smell of the continental breakfast. Past the fresh muffins and warm toast and trot straight out onto the deck to take in the morning sun. I’m not here as an employee today, just a regular blogger on a creativity hunt. A soft breeze brushes past my face and I pick a table strategically. Within seconds, a waitress peeps through the door and asks to take my order. It’s only 8:30, and I have a horrible craving for their famous monster meat pizza. I internally scold myself and order a pot of tea instead. And as soon as she disappears through the glass doors, I pull out my phone to text my photographer. He’s capturing images of the hotel today and as usual, I’m 30 minutes way too early. When I moved up to the city just a few years ago, I knew I wasn’t one for the burghal living. There is just something about flaring horns and rumbling engines against the chatter and commotion of city folk that doesn’t quite tickle my fancy. I suppose that’s why from the first day I walked into the Mountain inn, it immediately felt like home. A balanced environment, slightly detached from the urban hype but connected enough to be of convenience. A balance that I now know I share with many other people who come out here to enjoy the experience that this place is. And as I sit out on the deck, taking in the entire scene unfolding on a summer morning, the sounds of different languages, mixed against conversations interrupted by beeping cell phones all thanks to the WIFI and a hubbub of forks and china meeting, I am undoubtedly convinced that this is the best place in the city. 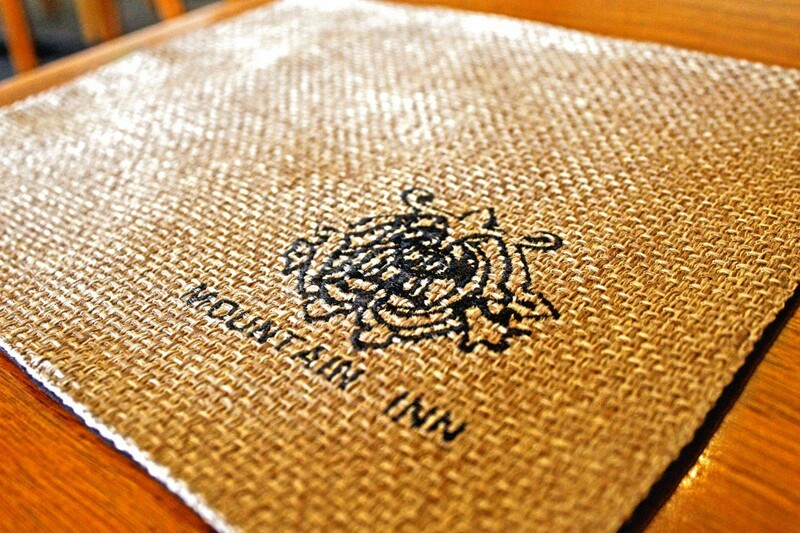 Mountain inn’s charm is in the way it fluidly allows the connecting of different people and things. 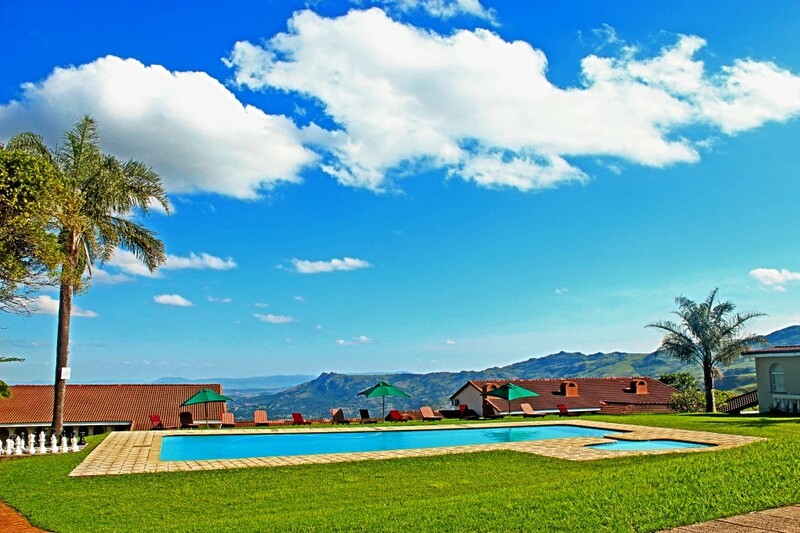 Boasting of a 58 unit capacity, a scenic spot on an old hill and a culture mix that’s nothing but iconic, this hotel might just be Eswatini’s ultimate metropolitan. I look up from my table to notice a group of suits moving about inside. In and out of conference rooms and bumping into tourists in the hallway. I smile at this rare intersection. Fascinating. The waitress soon returns with my tea and not long after that, the photographer finally arrives. He collapses into the chair next to mine before complaining about the summer heat and something about taxis and traffic. I can’t quite focus. My attention has been stolen by two little boys playing life size chess by the pool side. And there’s that view again. My thoughts are abruptly interrupted by the photographer’s shuffling chair, as he stands up to signal that he’s ready to get to work. I excitedly nod and a seconds later he’s out the door and off to explore the place. I scribble something in my note book as I gulp down my tea. Every so often looking up from my writing to enjoy the bustle around me. People moving around, waitrons clearing tables, guest’s throwing around “merci beacoups” and chairs shifting out of the way. I steal a gaze out onto the South wing right below, which, like the rest of the hotel, beautifully mimics a Tuscan villa of white walls and red roof tiles. Standing pristine like a sentinel watching over the valley. I notice housekeeping pushing trolleys of laundry and a monkey swinging in his imaginary jungle, roof to roof. I let out a laugh and compose myself. Three cups down and enough sun tanning later, I finally stand and make my way from the deck back inside, gliding towards the breakfast display to finally give into the muffins. They smell magical. I load one onto a saucer and waltz past the golden staircase that leads down into the hotel’s restaurant, disappearing comfortably into the open lounge. There’s a shelf loaded with travel magazines and I pick one with a bright colourful cover and big yellow font just before slouching into one of the soft green arm chairs right by the mini balcony door. I break open a muffin at last and the steam rises up to meet my nose. It tastes delicious. I close my eyes for a split second to enjoy it and when I open them again, I notice how the hive of activity that had greeted me when I first walked into the hotel earlier, was beginning to die down. I swipe my phone to reveal the time: 10:15. The morning is gently waning into noon and the photographer is still nowhere in sight. That’s alright, I am in no rush anyway so I tuck my notebook back inside my bag and open up the magazine. 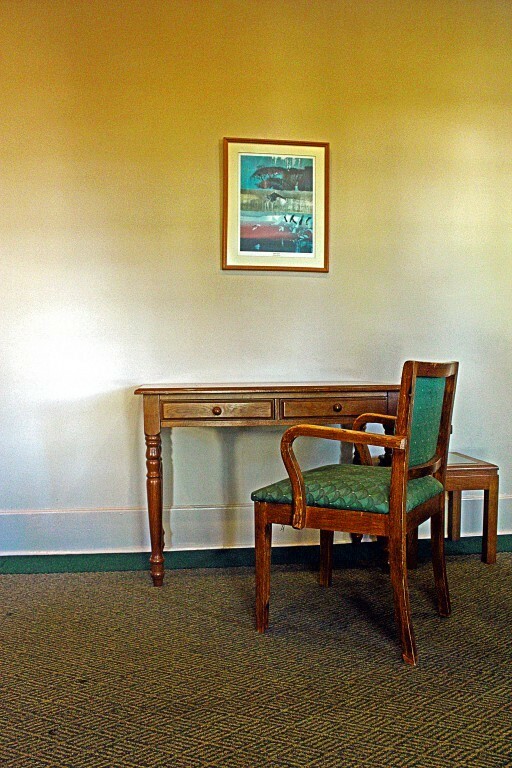 Distant laughter trickles in from the art adorned hallway and an exchange of hellos takes place there too. Light dances into the room and settles onto the wooden coffee table. The very same waitress walks in to enquire if I need anything and I beam heartily at the thoughtfulness before letting out a “No I’m fine” as she clears the empty saucer where a heavenly muffin had been. And as I peruse through articles on articles, comparing the experiences of the people within the pages to that of my own, right here in this moment, I come to the realisation that the Mountain inn is definitely a stop worth adding onto any bucket list. 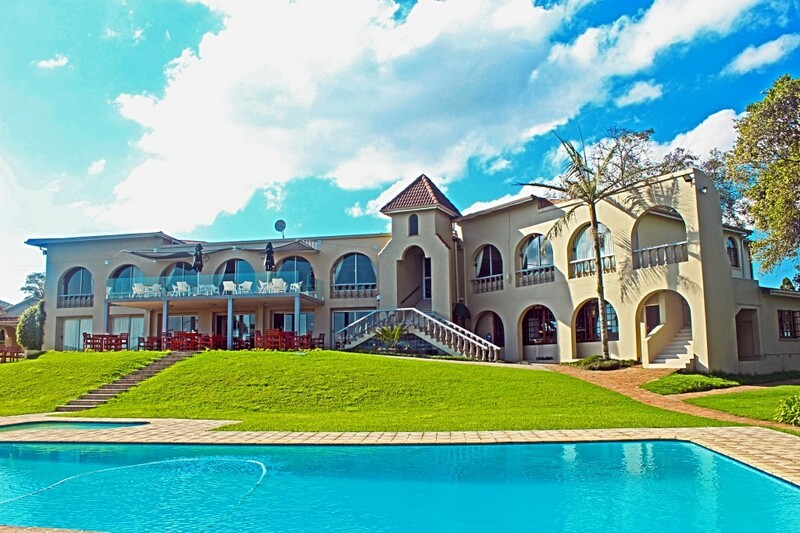 With its regal architecture, delectable menu and a view that’s worth a thousand words, it’s no wonder that it’s known as the preferred choice hotel. I finally put down the magazine and wait patiently for the photographer to reappear. From where I am sitting I can see the Jacarandas and their purple confetti, pretty against a cloudy sky. I can faintly hear engines roaring to a start and weavers making nests in the trees. The same soft breeze that had brushed my face out on the deck, floats in through the window and I catch a scent of the rain that is building up in the late morning air. I make a mental note to swing by the curios store in the lobby on my way out. Might as well get a head start on that Christmas shopping. I manage a giggle and sigh. This place truly is an urban haven, tucked away picturesquely on a road called Princess Drive and waiting to be discovered. If you ever are in the neighbourhood or decide to visit Eswatini, take a lovely turn off the MR3 and swing by. I’ll probably be the girl with the big hair in the lounge, scribbling notes from an old plush chair.